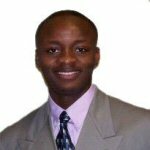 Kwadwo Juantuah is a student at Berea College, class of 2010, and is working towards a double major in Economics and Mathematics. He was born and raised in Ghana and spent a year in West Virginia as an exchange student. Juantuah is currently researching investment opportunities in Africa and how the capital markets can be used as a catalyst for growth and development on the continent. He enjoys writing poetry and published his first anthology of poems, Morning of Gold, before he turned 17. He also mentors younger kids in his free time. Juantuah hopes to work in Investment Banking after graduating from college and then go back home to help develop Africa.